New Delhi: The Supreme Court of India has fixed December 31 as the deadline for publication of the draft of the updated National Register of Citizens (NRC). The time is not far when the final updated NRC for the state would be complete, keeping with the spirit and word of the Assam Accord, 1985. As per the Accord, anyone residing in Assam who can’t prove citizenship or family lineage in the state prior to the midnight of March 24, 1971, would lose their Indian status. This leads to the question: What would be the policy for those found to be non-citizens, if any? It is a question that the time-worn agitation leaders against ‘foreigners’ – most of whom are in the present BJP-led government in the state – had not engaged with, beyond saying that ‘they will have to be deported to Bangladesh’. In 2014, the Supreme Court asked the Union of India to enter into necessary discussions with the government of Bangladesh to streamline the process of deporting illegal Bangla migrants. Though India and Bangladesh entered into an extradition treaty during the UPA II regime in 2013 which facilitated the deportation of the long incarcerated United Liberation Front of Assam (ULFA) leader Anup Chetia, expulsion of undocumented immigrants from Bangladesh allegedly residing in Assam – a sensitive issue that led to a six-year-long students’ agitation in the northeastern state in the early 1980s – has not been negotiated in bilateral talks. 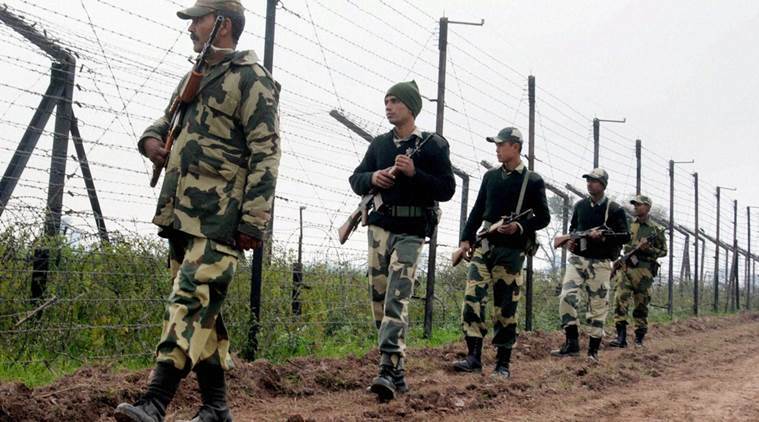 The bi-annual talks between the Border Security Force (BSF) and Border Guard Bangladesh have not flagged the issue of undocumented migration from across the border beyond the angle of narcotics and cattle smuggling. Assam’s finance minister Himanta Biswa Sarma, after an India Foundation seminar on India-Bangladesh friendship dialogue in Guwahati in July this year, said that the state government “would move the Centre to take up the issue of illegal immigrants with Bangladesh after the NRC is updated,”. However, the centre has been quiet about it. After winning the 2014 general elections, Prime Minister Narendra Modi too went silent on his promise made to the electorate in West Bengal and Assam that he would “send these Bangladeshis beyond the border bag and baggage”. Political rhetoric aside, when it comes to diplomacy, Bangladesh watchers in India are confident that “India would not like to lose a friend” by raising the issue bilaterally. 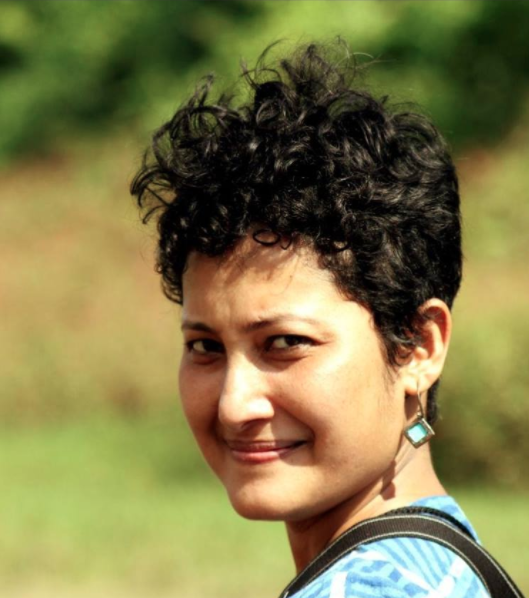 Joyeeta Bhattacharjee, senior fellow of the South Asia Programme at the Observer Research Foundation, told The Wire, “The issue of illegal migration is a contentious one between India and Bangladesh. The possibility of the two countries discussing it seems a little bleak. Any effort to raise it will only turn the relationship bitter. Particularly more at a time when Prime Minister Sheikh Hasina is all set for 2018 elections. She has been regularly criticised for being partial towards India because of her efforts in improving relations with India. Any Indian effort to raise the issue will make the situation complex for her. India may not be prepared to lose a friend in Bangladesh”. Thanks to Hasina and Modi’s efforts, Bangladesh is in excellent terms with India – a reason why the vexed issue would also likely be kept in the back burner. “Considering the growth of the relationship, the two countries have avoided discussing any issues that might disrupt the bonhomie. In addition, to put such issues in the agenda in any bilateral discussion, there has to be an interest from the other side. However, Bangladesh has not shown any interest till date. In fact, any talk in India on the issue of deportation generates public anger in Bangladesh. This only helps in fermenting anti-India sentiments there,” Bhattacharjee. “We cannot rewrite history and such an exercise in the hands and minds of prejudiced, petty-minded and discriminatory groups will destroy Assam’s social fabric which has been bleeding for decades. The dangers in labelling a community and individuals as ‘Bangladeshi’ on the basis of a general feeling of animosity can’t be stressed beyond a point. Surely, no one wants to go back to the 1980s and revisit the horror of the massacre on all sides and communities, although Muslims were targeted the most, many of whom have lived for long in the Assam valley. In the last few years, hundreds of people have been picked up and locked up on the suspicion of being a doubtful voter. There is no due process and many of the cases have been dismissed on grounds of insufficient evidence,” he added. A common possible solution that experts and political observers suggest is to issue work permits to those who are proved non-citizens. This idea, first proposed by Hazarika, is based on the notion that the most undocumented migration has happened from across the border for economic reasons. Elaborating on his formula in the book Rites of Passage: Border Crossings, Imagined Homelands, India’s East and Bangladesh (2000), Hazarika proposed work permits for groups of 15-20 persons rather than to individuals. The permits, which, according to him, might “create a sense of space and tolerance” (towards the migrants), should be issued for a limited time period depending upon the nature of the work. They should be like passports with the details of individuals, their employers and the length of stay of the group in India. The validity of the permits could be extended for a period of two years. As per the formula, the workers will not enjoy any political rights such as the right to vote, buy property or settle in India, but will have human rights and can approach courts and labour commissions in case their rights are violated. 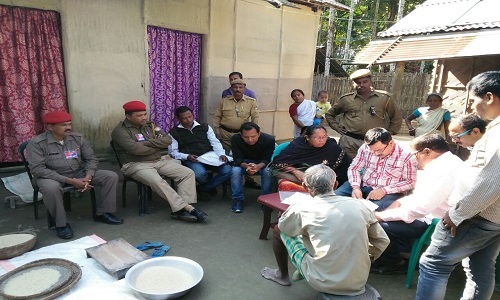 For smooth implementation of the idea, Hazarika emphasised the need for garnering political backing down from the panchayat level to the Centre. He further asserted that the cooperation of local politicians should be a must because they are the ones who provide patronage to the migrants with the aim of exploiting them as captive vote banks. In the book, Hazarika also suggested debarring a politician for ten years if he/she allows “illegal immigration”, besides advocating for legalising illegal border trade. “These economic realities are just not going to go away. The region, and not just Assam, doesn’t have the labour required to implement the ambitious development projects that successive government has been shouting from the rooftops for years. So where are all of these labourers going to come from? Uttar Pradesh? Bihar? Orissa? West Bengal? They may, but they could also come from Nepal and Bangladesh. Why not do it legally through the process of work permits? It would deal with Bangladesh’s sensitivity with regard to illegal migration,” he told The Wire. In a recent interview to The Wire, eminent political commentator of Assam Hiren Gohain too supported the mechanism of work permit to address the issue. “Those found non-citizens (after the NRC update) can still be residents of the state. It happens in many societies across the world; people go to those countries to live and work, have certain rights. If required, why not issue work permits to them?” he said in an interview to The Wire. In 1991, the central government revived the plan in specified areas in the states of Assam, Mizoram, Tripura and West Bengal to check illegal migration. However, according to the government’s annual report (1999-2000), the project failed to take off because the administration concluded that “creating database of one billion people is a gigantic exercise”. Though between 2003 and 2009, the central government carried out a pilot project of granting multipurpose identity cards “in a few selected sub-districts of 13 states and Union territories”, Assam was kept out of it as the verification of citizens in the state (NRC update) was not completed. Speaking to The Wire, Das underlined that the Congress governments at the Centre have not been much inclined towards work permits, but the BJP has. “In May 2001, the then Prime Minister Atal Bihari Vajpayee, while speaking at a rally in Assam’s Silchar, said his government was seriously considering the proposal to issue work permits to Bangladeshi migrants suspected to be foreigners but could not be evicted due to a host of legal and constitutional problems,” she recalled. After Modi became the prime minister, there have been some speculations in the media about the Centre working on the idea. “Apparently, the proposal was first mooted a year earlier during the visit of external affairs minister Sushma Swaraj to Dhaka,” Das writes in her book. 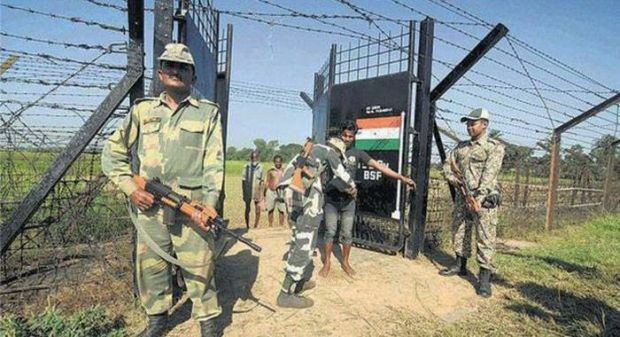 However, Das, who did extensive field studies along the India-Bangladesh borders of Assam and West Bengal, punched holes into the work permit idea. “Firstly, we don’t have any concrete data – official or un-official – to understand the pattern of illegal migration from Bangladesh. The government has this refrain that we don’t have any data because they come surreptiously. Since we don’t have any data, we can’t surely say that work permits will deter illegal migration. In fact, what has deterred illegal migration to some extent is fencing,” she told The Wire. Das pointed out that guest worker programmes have been tried out in countries like the US, Germany and Spain, but they have not been successful in stemming illegal migration. Das also pointed out that most of the countries which have guest workers programmes give preference only to highly skilled workers. “Only developed countries such as Australia, Canada, US, the European Union and Gulf countries are facing labour shortages, have small numbers of programmes for low-skilled workers that limit their employment to specific sectors such as agriculture, horticulture and tourism. Developing economies with surplus labour such as China, Brazil and Mexico are particularly strict on the import of low-skilled workers and, therefore, do not have any programme to admit them”. The PVM has been carrying out a mass signature campaign across the state seeking a legislation for the indigenous people, which, Hazarika, in an recent interview to The Wire, articulated as “reservation of resources, land, government employment, educational reservation, trade licence, etc. as is prevalent in other northeastern states”. “The primary objective is to disincentives Bangladeshi migrants from coming to Assam legally or illegally, and get the same access to resources like the locals. The reservation should be for those who were citizens of India and residents of Assam in 1951 and for their progeny. This includes those who may not be indigenous to the state but have their or families names in the 1951 NRC,” he said.